FC Barcelona are already getting in the mood for their trip to the USA. With 48 hours to go before the preseason tour to the United States starts, the first team were visited on Monday morning by two famous athletes from the NBA and the NFL. They were Draymond Green, of the Golden State Warriors, and Andre Branch, of the Miami Dolphins. Both of them spent some time with various first team players once they had completed their first training session of the week. Neymar Jr, Piqué, Rafinha and Sergi Roberto made the most of the two American stars' presence and had their photo taken with them. 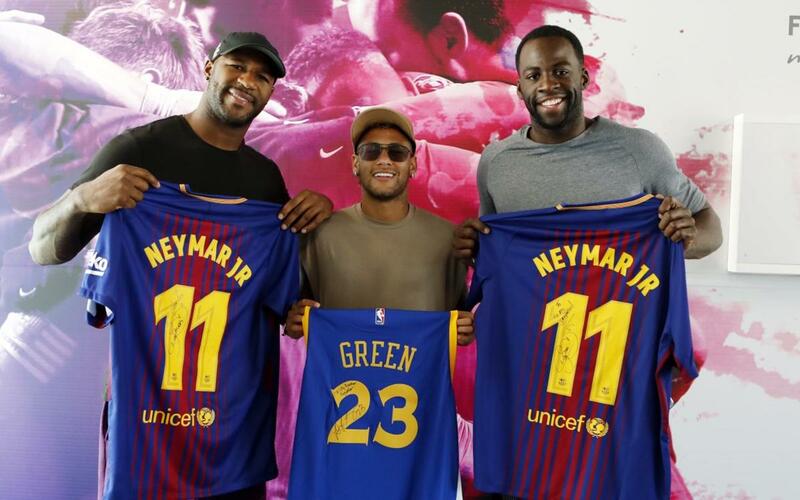 They will see Draymond Green again soon as he will be attending the Clásico against Real Madrid in Miami on 29 July.